One of the hardest problems is getting our loved ones to use devices to keep them safe with their activities of daily living such as canes and walkers. They just won't use them! Grrr!!! 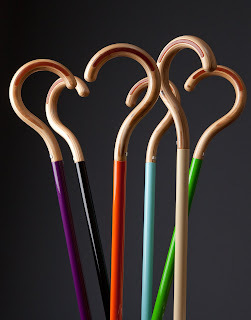 If they could have a cane with some flair and style perhaps they would be more likely to use it. Here's a site that offers some stylish canes as well as other great ideas to assist with everyday living.